 From Malik from Ibn Shihab from Abu Bakr Ibn Abd ar-Rahman Ibn al-Harith Ibn Hisham from Abu Mas’ud al-Ansari that the Messenger of Allah (Sallalahu Alayhi Was-Sallam) forbade the sale price of a dog, the earnings of a prostitute and the earnings of a fortune teller. Transmitted by Bukhari (no.2237) and Muslim (no.1567) from the hadith of Malik. 1) This hadith is an excellent refutation against those people who say that the selling of a dog is allowed! It is known from this that even Jabir (Radi Allahu Anhu) understood that the charging (buying and selling) of dogs and cats is not allowed. His reliability is not established from any credible muhadith. 1. Khwarizmi himself is not trustworthy and has an unknown reliability. 2. Abu Muhammad al-Bukhari al-Harithi is a liar. As mentioned previously. It is known from this that Ibn Uqdah was a robber, unrighteous and a rafidhi. Imam Abu Hanifa is not in need of these type of [Munkar] rejected hadiths. Wal Hamdullilah. 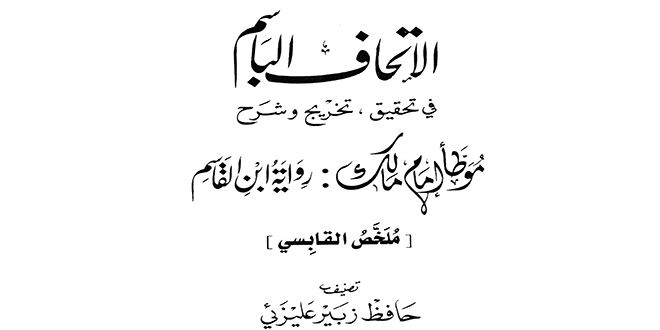 In the second chain both Ahmad Ibn Abdullah al-Kindi and Muhammad Ibn al-Hasan ash-Shaybani are criticised and al-Hasan Ibn al-Husayn al-Intaki is unknown. 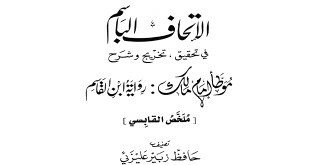 In the third chain there is Ibn Uqdah the robber, Abdullah Ibn Muhammad al-Bukhari the liar and both Ahmad Ibn Abdullah al-Kindi and Muhammad Ibn al-Hasan ash-Shaybani who have been criticised. In the fourth chain there is Husayn Ibn Muhammad Ibn Khusro al-Bakhli, al-Husayn Ibn al-Husayn Intaki the unknown, Ahmad Ibn Abdullah al-Kindi and Muhammad Ibn al-Hasan ash-Shaybani who have been criticised. In the fifth chain there is Ibn Khusro, Husayn Ibn Husyan, Ahmad Ibn Abdullah al-Kindi and Muhammad Ibn al-Hasan. In the sixth and last chain there is Ibn Khusro the Mu’tazali who is criticised. See Lizan al-Mizan (2/312) and Sir A’lam an-Nubala (19/592) Qadhi Abu Nasr Ibn Ishkab and Abdullah Ibn Tahir are unknown, and Muhammad Ibn al-Hasan ash-Shaybani is criticised. Summarised verification: This narration is false and rejected and it is not established from Imam Abu Hanifa. 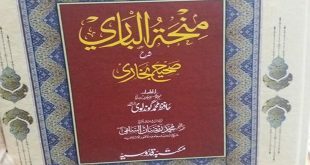 It is known from this that the narrations which show the permissibility for selling some types of dogs are all [Daif] weak and rejected. Some people have said that selling a dog is allowed in contrast to a dog’s price being prohibited and evil. See al-Hidayah of al-Mirghinani (2/101, and the words for it, (3/79)) al-Quduri ((pg.74) before chapter as-Sarf) Fath ul-Qadir of Ibn Hamam (6/345) Bida’i as-Sana’i (5/142) Kanzud Daqa’iq (pg.257) al-Bahr ur-Ra’iq (6/172) ad-Durul Mukhtar with Kashf ul-Astar (2/50) Radul Mukhtar al-Ma’ruf with Fatawa Shami (4/238, 239) Hashiyah (marginal notes) of Tahtawi ‘Ala (on) ad-Durul Mukhtar (3/127) Kitabul Fiqh ‘Ala al-Madhahib al-‘Arba’a (2/232) and al-Fiqh al-Islami Wa adilatah (4/446) etc., Rather some people have written that it is allowed to slaughter a dog and sell its meat. See Fatawa Alamghiri (3/115)! All these sayings are rejected because they are against the authentic ahadith. This fatwa is rejected because of it having no proof.